By now you should know how to stencil. But you want to take your decorative painting to a higher level. You want your painting to look more natural, like it was put there with an artist’s brush. Well, I put together some of the techniques that I use to create a hand painted effect. I hope you find them useful. 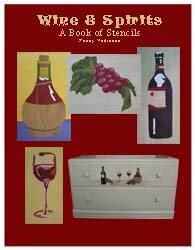 Want to know a great way to add interest and life to your decorative painting? Take the two basic techniques for applying paint - stippling and swirling – and use with two or more paint colors to create, texture, shadows, faux finishes and much more. Here is a great article with all the details and some great illustrations to demonstrate how to use basic techniques with some new twists. For more on the basics, don't miss the video below! Choosing the right colors is very important. It’s not just a matter of pulling a couple of paint bottles off a shelf. You really have a lot to consider. How will the colors look together? Will they clash with the background? Should you have a distinct contrast between colors or just a subtle difference? Ah-ha! So, you didn’t think about all this. Well, I put together some great tips and hints about what you need to consider when choosing paint colors plus a technique to help you make the right color choices. 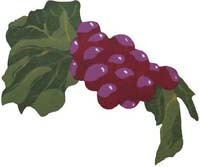 Ivy, grapes with leaves and flower stencils are the most popular. Here are some great tips for adding details to a Leaf for a more realistic look. So your painting has eyes and it’s looking back at you? But it’s not giving you that warm feeling like when you look in a puppy’s face? I have a couple of great ways to add life to the eyes on your painting. Here is a great Tip for Making Eyes Look Alive. Highlights and shadows are a great way to put a realistic effect to your painted image. Remember that the definition of a stencil is to produce an exact image with every use. But that's just simply boring. Add the hand painted look to your Artwork with Shadows and Highlights. Spray paints create a smooth, even finish of color without the lines or splotches that a brush or sponge may leave. If this is what you are trying to achieve there is a lot you need to know because as easy as it is to spray paint from a can, it’s not so easy to get good results. 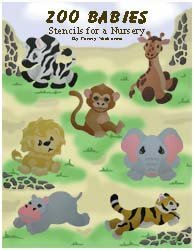 If you are looking for information on using spray paint stencils, then click here for all you need to know. This page includes some great tips and hints for completing a successful spray painting project. It’s essential to have the right tools for your crafts or hobbies. There is nothing more frustrating than working hard on a project only to have it ruined because you used the wrong kind of brush. Here is a detailed discussion on Craft Tools and how you can benefit from their use. As you find more and more uses for your skills you will run into some situations where you need a little extra help. I wanted to share some advanced techniques and tips with you so that when you find yourself in a tight spot you know how to get the job done. Here are some Techniques for Professional Results. It’s frustrating and aggravating when after all the work, there’s a problem. Don’t let it discourage you. There are ways to avoid the usual things that go wrong and a few ways to fix them after the fact. 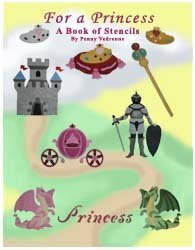 I put together a list of Stenciling Techniques for Avoiding and Correcting Mistakes. In an effort to bring to you a complete solution for all of your stenciling needs in one place, we now have a catalog for you to browse a large variety of designs. 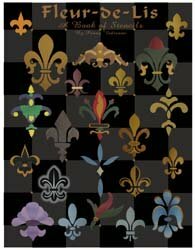 So, check out our Stencils Catalog for your next project. Below is a sample of the design books that we offer. These books include the patterns used as examples on this page. Each book will come to you as a downloadable pdf file in your e-mail. Just check your e-mail after purchase for the link to connect to your file and print or save. It's that easy! Click on each picture for project ideas. If you’d rather get your Stencil Pattern Books in Print (like these and the ones pictured above), then visit our Printer’s Book Shop for a large variety of stencil collections. You’ll find all of the stencil designs used as examples throughout this site. Hey wait...Don't go yet! I have a great 3-D Art video tutorial that I know you'll love. Ever wonder how you can create a clean 3-D raised image? Well, here are a couple of talented ladies to show you how plus a few more ideas for decorating the designs. I hope that now you have some great ideas. You are only limited by your own imagination (and I know there is no limit there). So go get ‘em and Happy Stenciling! Here's that video on the basic stenciling techniques that I promised you above. Enjoy! Would you like to build a web site like this one and turn a passion (crafts or hobbies) into a business? Well, if I did it, you can too. Don't think that you have to be a web designer and know all about computer codes and complicated html stuff. I didn't. With Solo Build It! it's easy and they have the tools in place to help you build pages and teach you how to create a successful web site. Want more information? Just click on Powered by Solo Build It! and watch a cool video that will explain everything. I know you'll get excited like I did.